9 ball is the game of pool where balls number 1 through to 9 are placed in a diamond shape on the table in ascending numerical order, however, the 9 ball is placed in the middle of the diamond. The objective is to pot the balls in order; ball 1 being first and ball 9 being last and the winner being the person who legally pots the 9 ball. 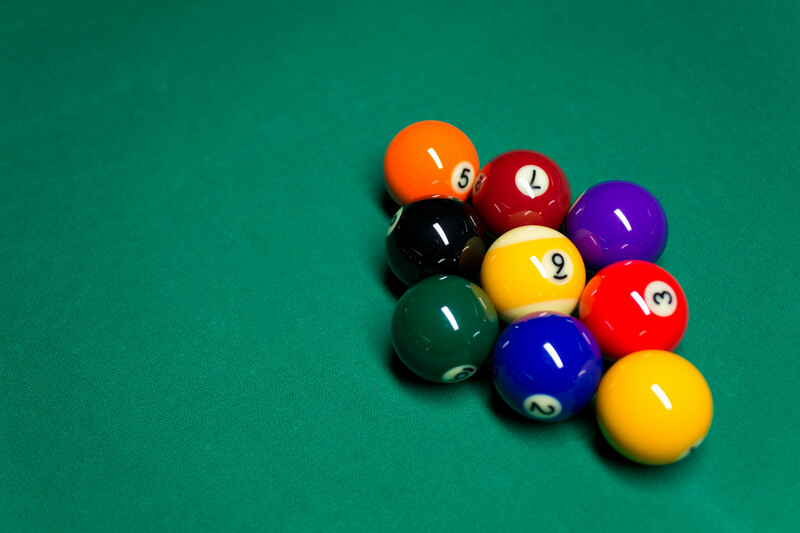 The lowest number ball must be touched by the cue ball during the play to be counted as a legal shot. This game is popular with the members and we run weekly leagues and tournaments after the 8 Ball season has finished. Keep an eye out on our 2017 Leagues page to be updated when our 9 ball leagues and tournaments commence.